It is always nice to get a little bit extra and that includes when playing your favourite online slots with 888 Games. 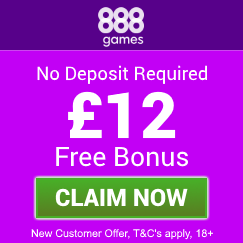 Not only do they give you a great welcome bonus where can play with £12 FREE and no deposit needed but you can get daily treats with 888 Games as well. There literally is something available every single day of the week. 888 Games have decided that the best way to start off the week is with a POP! Just bet a minimum of £10 on their Chuzzle Slots game on a Monday and the little hairy guys will pop an extra £5 in your account. Just make sure you use the promotional code POPPYMON when you deposit to make sure you are eligible before you play. It’s a Tuesday so that means ‘Hit the Jackpot’. 888 Games will double your chance of hitting the jackpot every Tuesday when you deposit into your account as little as £10 using the promotional code JACKPOTTUE and get a free £10 bonus on them giving you double the chance of winning by doubling your money! Every Wednesday The Doctor is prescribing a £10 bonus of love. If you need a prescription to get your free bonus then just deposit £20 on a Wednesday using the promotional code WEDLOV and the good Doctor Love will administer a £10 bonus into your account. Play either the Leprechaun′s Luck or Irish Eyes online slot game and qualify for the bonus round and be awarded £5. Just make any deposit first using the promotional code IRISHTHU. Firstly, if during the week you have already qualified for three treats, then 888 Games believe you deserve a nice extra special weekend treat. Just login to your account, make a deposit on a Friday, Saturday or Sunday using the promotional code SUPERTREAT and a £20 bonus will be waiting for you. If during the week you have already qualified for four treats, then deposit on the Friday, Saturday or Sunday using the promotional code SUPERTREAT and get an even nicer weekend reward of a free £30 bonus! Full details of each of these individual promotions is available on the 888 Games website, so please check them out before you participate. 888 Games is brought to you by the developers behind Wink Bingo and 888 Ladies so they have an abundance of experience in bring the best online gambling entertainment to your desktop and mobile. 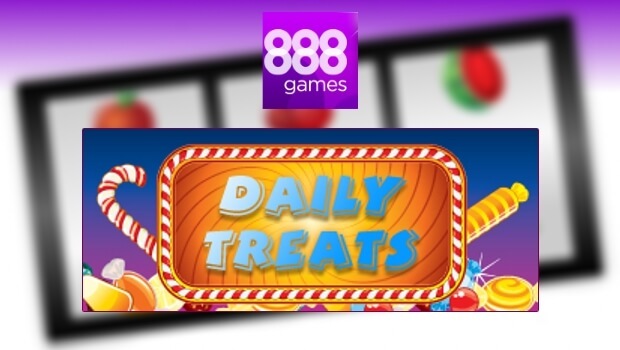 So why not join in and get daily treats with 888 Games. Click the button below and play today!